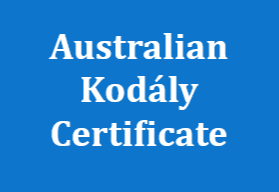 The Kodály Music Education Institute of Australia is supporting the Australian Music Association to spread the word about the international MAKE MUSIC DAY on 21 June 2018. Organise a lunchtime concert or performance at school for parents and students. Encourage students to record their video for AMEB’s online orchestra project which celebrates 100 years of AMEB service to music education. Promote the school music program to parents on June 21 by hosting a music information session at your school for parents and students. Approach your local music store and coordinate an event with them. 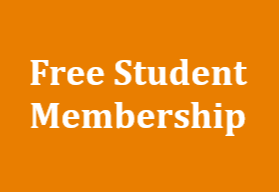 Approach your local council and request to showcase your school band or choir in a public place. Encourage all students who play any instrument to bring them to school and have an open forum for them to play to their schoolmates. Have your end-of-semester one Concert on June 21. Conduct a whole school music event at lunchtime, at assembly or after school. REGISTER YOUR MUSIC ACTIVITY AND BE PART OF OUR NATIONAL EFFORT TO JOIN THE WORLD IN MAKING MUSIC ON JUNE 21. 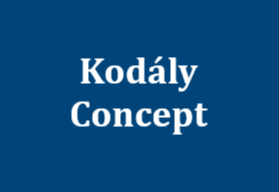 BE A PART OF SOMETHING BIG! 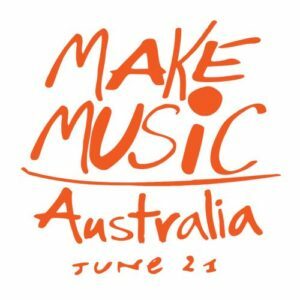 MAKE MUSIC DAY logos and other resources are available on the Music Australia website.